Stay and fight or cut and run? Young Bodee Rivers can save so many from a terrible fate, but he must find the courage to act. 1904 New York City- Bodee Rivers, who has always avoided major challenges in his life, moves to the most dangerous block in the city, MINETTA LANE. Police in pursuit of criminals often give up the chase as they approach the entrance to Minetta because even they know better than to test the hardened criminals who hide in the shadows. Bodee's circle of family and friends help him successfully manage some initial tests of his perseverance, but when he finds himself alone and confronted with an overwhelming challenge aboard the General Slocum Steamship, he isn’t sure he’s up to the task. Many lives are at stake and Bodee must make a choice. Stand and fight or cut and run? Running is what he knows. Running is what will keep him safe. Will Bodee find the courage to fight? 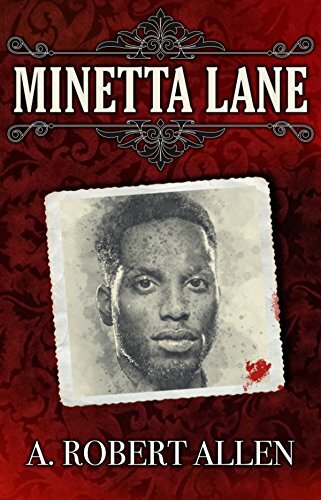 MINETTA LANE, the third volume in A. Robert Allen’s Slavery and Beyond series, is a stand-alone novel that continues the broad themes of the first two volumes, FAILED MOMENTS and A WAVE FROM MAMA.